Ruff Ruff!!! Adorable little newborn puppy dog outfit for photography sessions. 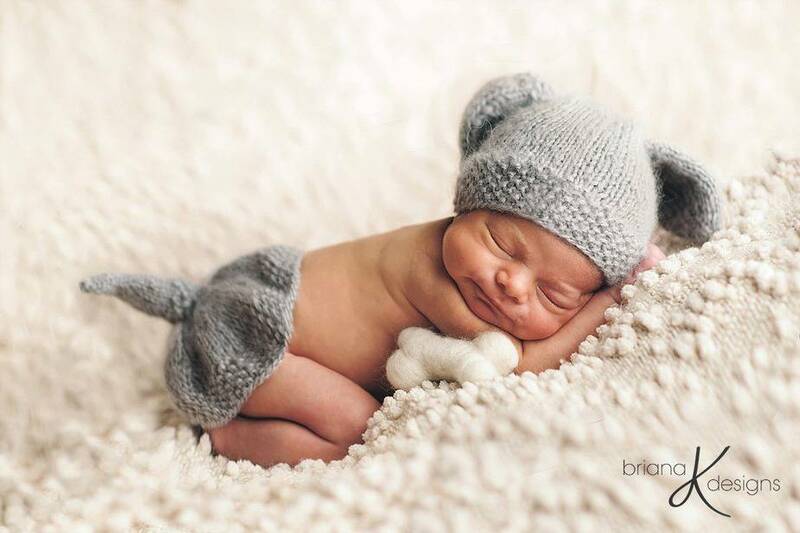 This unique looks is easy to use during a newborn session and comes with 2 options for the bone and bow tie (bow). One option is a knit version and the other option is felted! A picture tutorial is included for the felted option.